Kalmar, part of Cargotec, has gained an order to supply two shuttle carriers to a long-standing customer, Total Terminal International (TTI) Algeciras SAU. The order has been booked into Cargotec's second quarter 2013 order intake. TTI Algeciras, the first semi-automatic terminal in Southern Europe, will take delivery of these additional shuttle carriers in the fourth quarter of 2013. The new machines will add to the customer's existing fleet of 20 Kalmar shuttle carriers and will handle containers from 20' to 40'. Kalmar's latest generation shuttle carriers feature a modular design for excellent versatility. The SCH250H has been fitted with twin extendable spreaders and has the capability of lifting up to 50 tonnes. The twin lift spreader provides enhanced container handling capacity with minimal service requirements. Highly regarded as the ultimate driver's machine, the SCH250H features a spacious operator cabin with excellent all-round visibility, enhanced ergonomics and low noise levels. The driver seat rotates 180 degrees which means the machine can be driven in both directions from the same driver position. 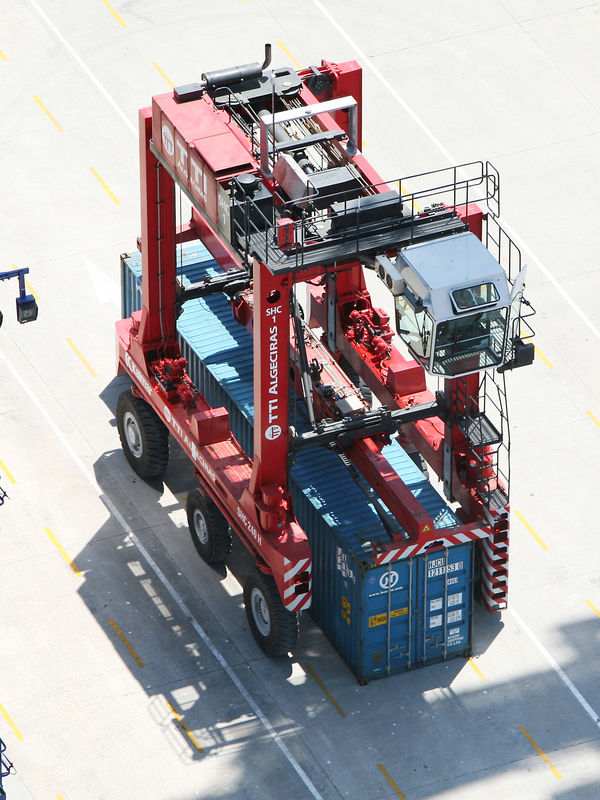 Productivity is further enhanced through Kalmar's patented Smoothlift(TM) hoist system. Commenting on the order, Ignacio de Sebastián, Senior Sales Manager, Kalmar said,"We are delighted that TTI Algeciras has again specified Kalmar shuttle carriers. TTI was the first terminal in Europe to specify Kalmar shuttle carriers and clearly our equipment continues to deliver the performance they expect. The flexibility of our leasing solutions and Kalmar's renowned service support was another key factor in TTI's decision." TTI Algeciras initiated the business activity in its Southern Spain container terminal in 2010 with the objective of progressively handling up to 1.8 million TEUs (twenty-foot standard containers) per year. The terminal surpassed the 1 million TEU landmark in 2012 and is expected to achieve the same in 2013. TTI Algeciras is capable of handling the latest and future generations of ultra large container vessels. It features two quay lines of 850 metres on the east quay and 550 metres on the north quay, with a draught of 18.5 and 17.5 metres respectively.